Since its inaugural event in 2001, fans of Macross have gathered annually in Southern California to celebrate their love of the franchise. 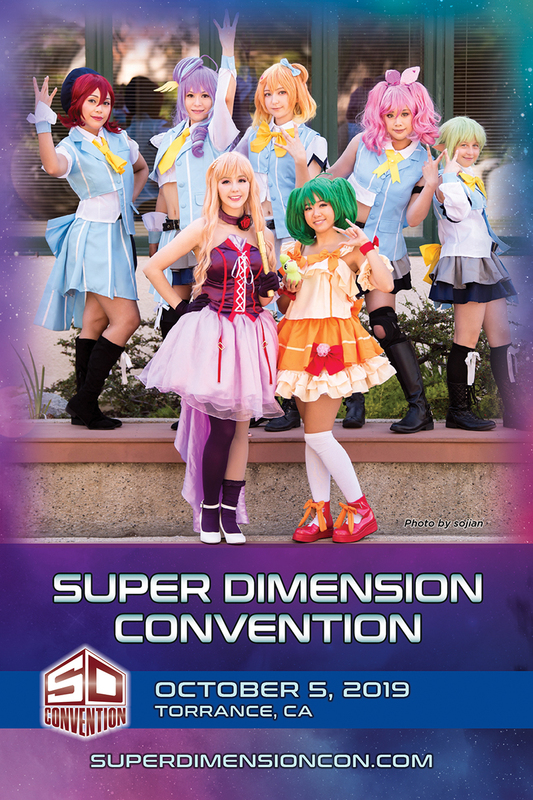 Super Dimension Convention has announced its return in 2019, offering a full-day celebration for fans of anime, idols, mecha, cosplay and collectibles at the Torrance Cultural Arts Center in Torrance, California on Saturday, October 5th. The Macross Museum, dealers room, arcade, cosplay and idol competitions are set to return, with special guest announcements to be revealed in the coming months. Past guests have included cast, crew, and performers from Macross and other anime productions from both Japan and the United States. Super Dimension Convention is the largest gathering of Macross fans in North America. Now in its second decade, the annual event celebrates all things Macross, from the original 1980s series and film to its subsequent sequels, video game spin-offs, toys, models, cosplay, and more! Attendees will also discover collectibles, merchandise from other mecha and idol anime series, have the opportunity to participate in the “Macross Idol” competition, and attend panels and performances featuring special guests. 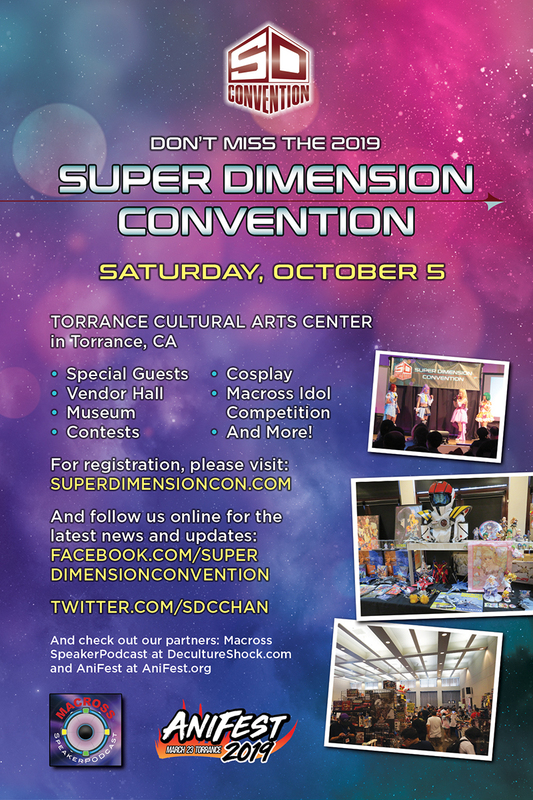 Originally “MacrossWorld Convention”, the event returns in 2019 for the third year under the name “Super Dimension Convention”, taking place at the Torrance Cultural Arts Center on Saturday, October 5.